Canadian singer songwriter, Matt Anderson released this album last year, and has just released the single "Who are you listening to?" to promote his UK and European tour in May this year. One thing about the internet is that it makes it easier for bands to publicise themselves, but the downside is that there are now so many bands competing for our attention that it's far too easy to miss some real gems among the crowd. 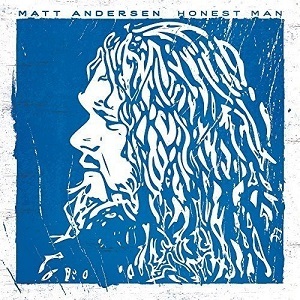 Matt Andersen is one of those acts that really deserves far more attention, and listening to this album makes it clear why. It's a great album - his vocals are absolutely superb, and the songs are beautifully crafted. "I'm giving in" is one of my favourites on the album- it's a very simple song with just him singing with a piano as backing, and that means all the focus is on those vocals. The new single, "Who are you listening to?" is another great track - if you haven't already, check out the video above and hear it for yourself. The use of the flute in "One good song" adds a lovely bit of richness. It's a beautiful song anyway but that use of the flute just adds that finishing touch. This really is a superb album and if you get chance to make it down to one of his live shows then it's likely to be a great night.